We have acquired immense expertise in the field of manufacturing and supplying a wide range of Car Shade Cloth. Vehicle Shed Cloth made available by us is manufactured using quality-tested material and is offered in different colours. 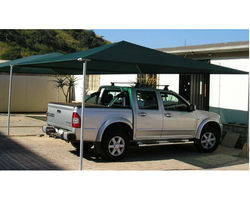 Customers can avail car shade cloth in red, blue and green colours. Prior to dispatching these shade nets to the market, we duly check these products to ensure their flawlessness. Looking for Car Shade Cloth ?